This international sport combines elements from dressage and cattle work into an exciting and inclusive mix. Dressage has been around for centuries, and so has the practice of working cattle from horseback. Yet it’s only in the last few years that a competitive sport called working equitation that combines the two has taken off in the U.S. Working equitation has been popular since the 1990s in countries like Spain, Portugal, Italy and France, but it’s only recently caught the attention of American riders. Within the last few years, three different organizations promoting the sport have sprung up in the U.S., and working equitation shows are being held around the country. The purpose of working equitation is to showcase the equestrian techniques of different countries that use horses to work cattle in the field, and the sport aims to preserve the traditions, riding attire and tack that are part of those countries’ cultures. Consequently, riders are expected to dress according to their style of riding, whether it is western, dressage, hunt seat or traditional Spanish style. There are four phases, or trials: dressage, ease of handling (an obstacle course), speed (a timed obstacle course) and cattle handling. Riders at the lower levels of the sport are only required to compete in the dressage, ease of handling and sometimes speed. These three phases are the mandatory trials required at a working equitation event. Cow trials are held at shows featuring higher level riders and are a team event. Jumping over straw bales may be part of the Ease of Handling phase. The four phases offered at working equitation events highlight the functional skills of a horse and rider team. Dressage: The Dressage Trial is similar to a traditional dressage test. Ease of Handling: The Ease of Handling Trial requires horse and rider to negotiate an obstacle course. The obstacles are set up to simulate the kind of challenges the horse and rider might find in the field. Each obstacle is given a numerical score, and collective marks are given for transitions, gaits, impulsion, submission, rider position and presentation. The horse and rider team is expected to negotiate the obstacles with accuracy, ease and smoothness. Obstacles are numbered and ridden in order. 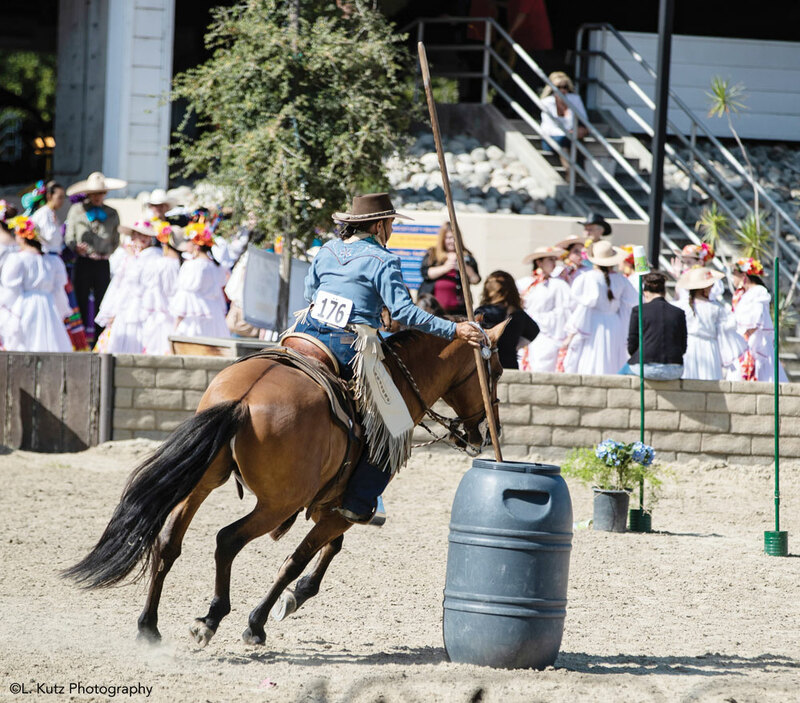 Some examples include riding a figure-eight between barrels, skewering a ring with a pole, backing up in an “L,” jumping over bales of straw, and riding through a water-filled ditch. Speed: The Speed Trial is also an obstacle course, but one that is negotiated at a faster pace. The goal is to negotiate the obstacles in the correct order without making any mistakes. Scores are calculated based on the elapsed time it takes to get through the obstacles plus time penalties. Cow: The Cow Trial is currently rare in U.S. events because the sport of working equitation is so new. Most often seen in international competitions, the Cow Trial tests the ability of horse and rider to work cattle individually and as a team. The trial is performed with three or four riders, and the objective is to individually sort, cut and herd a pre-selected cow into a designated pen. The event is timed, and penalties are given for course errors. Watch videos online of horses and riders competing in working equitation and you might think you need an Andalusian and fancy Spanish tack to participate. 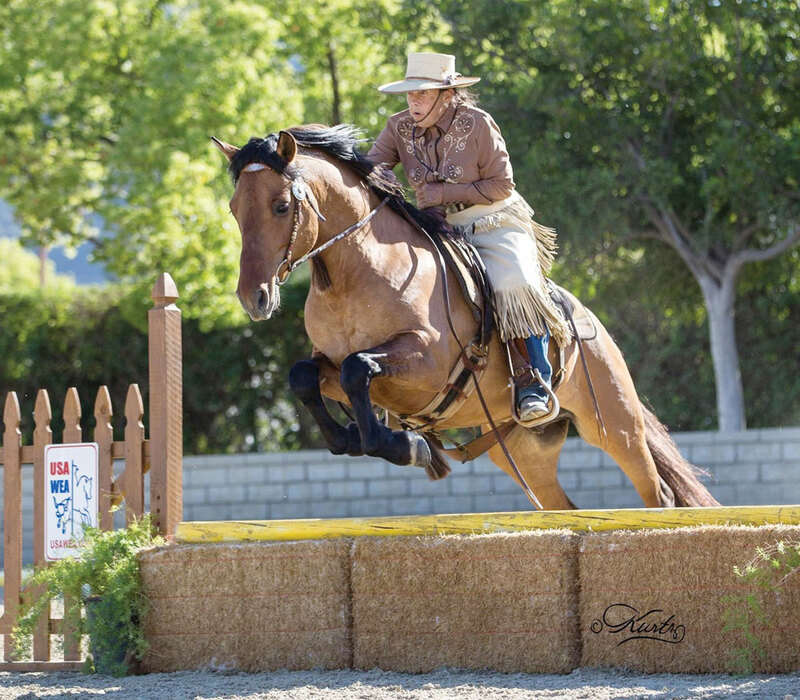 While this is how the sport looks in Europe, it is much more low-key in the U.S. Any breed of horse can participate, and any style of tack is acceptable, as long as the rider’s apparel matches the discipline of the tack. 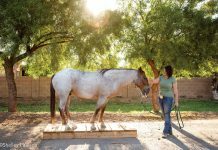 To compete in the lowest introductory level, called L1, a horse needs to know how to walk, trot, halt and back. The horse must also have the confidence to maneuver through the obstacles in the Ease of Handling trial. Horses and rider in the L1 introductory level do not compete in the Speed phase, according to Watkins. 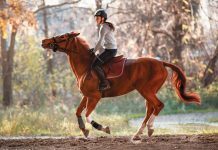 This makes it easier for a new horse and rider team to participate in the sport with just a dressage test and an obstacle course. 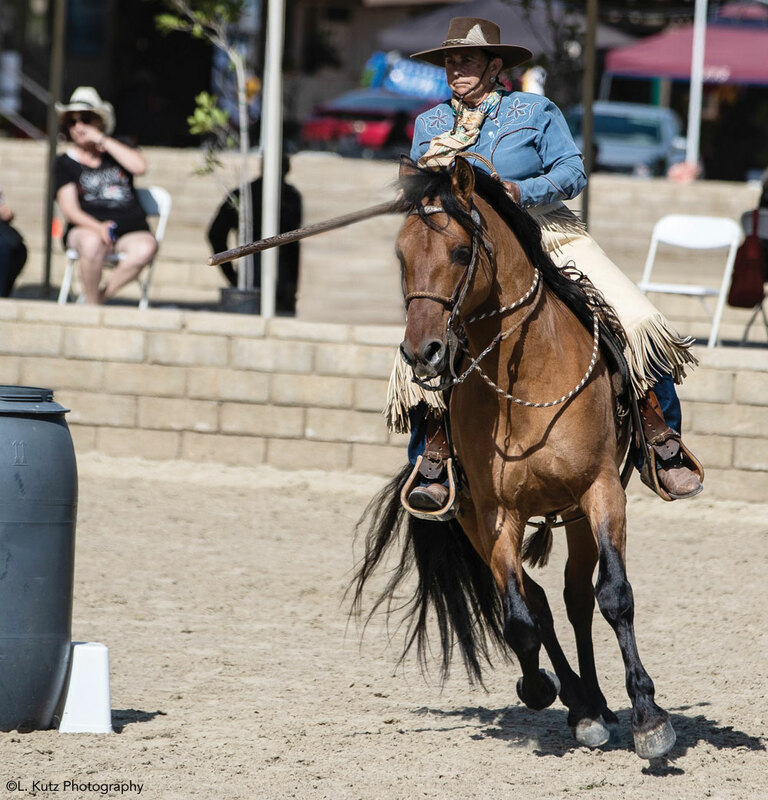 Once a horse and rider team has had a chance to gain experience and advance through the introductory level, adding the Speed Trial to the repertoire will come naturally. For more information about working equitation in the U.S., visit the following associations.